Location is key with this gorgeous home! Convenient to Hwy 400, Dahlonega, Gainesville and Cleveland. 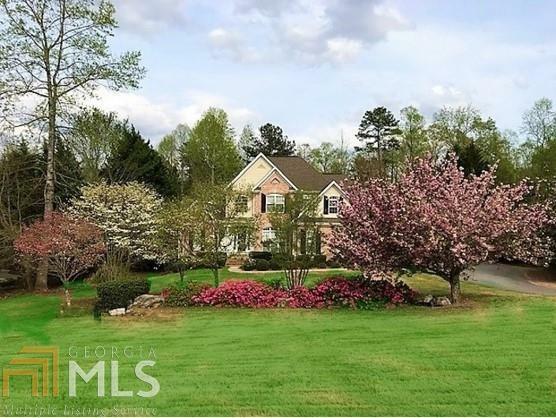 Entire home recently updated: paint (interior and exterior), s/s appliances, faucets, door knobs, hardwood floors, carpet, master bath, granite throughout, light fixtures, plantation shutters and blinds. Drive extended to terrace level, garage door added for basement access. Pavillion for rv/boat or picnics, lovely garden with path to woods - this is the perfect home for entertaining and someone with lots of toys! Directions: From Hwy 400/60n At Home Depot; Take Hwy 60 Toward Gainesville For 3 Miles; Timbercreek Is On Left; Home Is On Right.